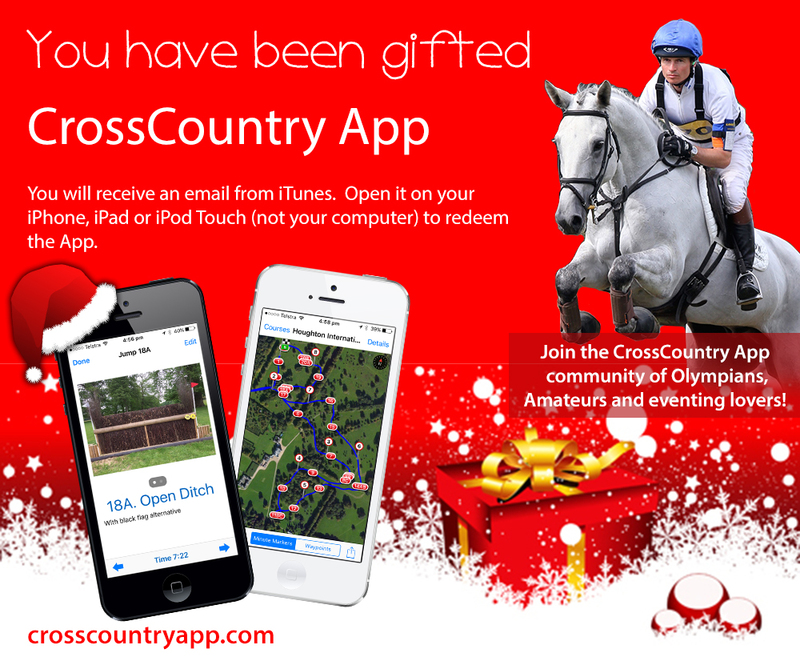 You gift the CrossCountry App through the App Store (iTunes). Type a message to email to your friend. It emails your friend a code to download the app free. 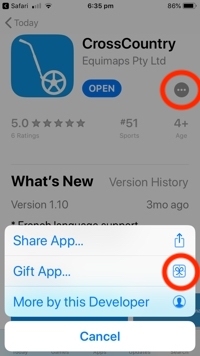 You can only gift an app in your own country. To make it extra special, copy the image below into an email and send it to your eventing friend. We recommend that the receiver redeems the app on their iPhone or iPad. It just makes life easier. If they redeem it on their computer they will need to synch with their iPhone/iPad before they can download it.